Remaining physically fit throughout your life is imperative. 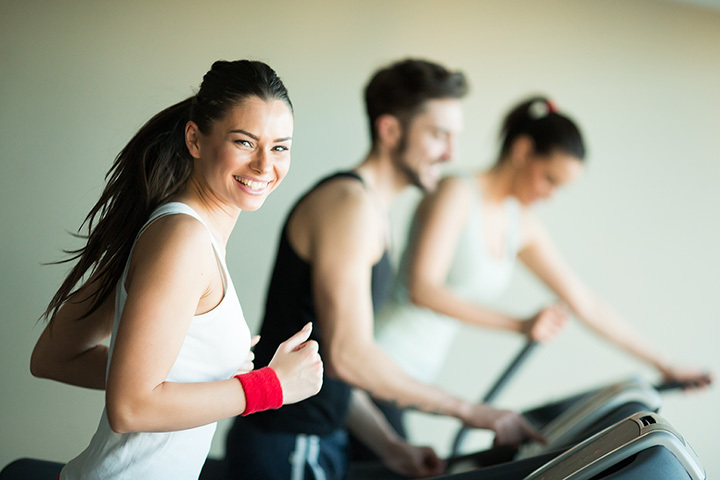 The best way to enjoy a variety of options for fitness is by visiting a local sports center! In Iowa, you’ll find a plethora of sports complexes and state-of-the-art facilities offering everything from swimming pools, to martial arts classes, to turf fields for all varieties of sports. Here are our favorites. This 36,000-square-foot space is a true sports haven. The mission at SportsIowa is to, “provide Central Iowa with a fun, safe, and enjoyable indoor facility” where customers “have the opportunity to both play games and improve their skills year round.” Available here are soccer leagues, baseball and softball, birthday parties, and field rentals. At 75,000 square-feet, this is Iowa’s premier sports facility. The River’s Edge features an Olympic-size ice rink and indoor turf field for soccer, football, baseball, lacrosse, and golf. At the rink, enjoy public skating, stick and puck time, freestyle skating, and drop-in hockey. Check their schedule online! There really is something for everyone at Rockwell Collins Recreation Center in Cedar Rapids. You’ll find an abundance of group fitness classes, which include yoga, Zumba, cycling, and even Tai Chi and hula hooping! Along with Tai Chi, there are opportunities for Tae Kwon Do and Shotokan Karate. Other services include personal training, on-site babysitting for the little ones, and physical therapy. We had our last tennis session of the summer today. Great kids to work with! This mission at the Y is to strengthen the community. For them, it’s all about the investment in the children in our community, our health, and our neighbors. There are several youth development programs available at the Burlington Area YMCA, including dance, gymnastics and cheer, swim lessons, and other youth sports. There are also adult sports such as soccer, volleyball, and badminton as well as martial arts and self-defense courses. Amenities at this expansive sports complex include 15 baseball fields, nine soccer fields, six softball fields, and five football fields. That’s a lot of space! There are 90 acres of turf at the complex, as well as several concession stands, and storage buildings for Little League and softball clubs. This gym in downtown Iowa City is a sleek 12,000-square-foot space to enrich your fitness journey. The location, just steps away from the Pedestrian Mall, is worth raving about—catch a nice view of the city while using an elliptical! This gym is suited for every level of fitness as it offers an indoor heated pool, a cardio theater, group training, personal training, diet and nutrition programs, free weight room, and more. Best part about it? It is open 24 hours a day, seven days a week! The YMCA is known to offer an abundance of community activities and programs, and the YMCA of Greater Des Moines does just that. Feel the burn in a cycling class, take a few swimming lessons, test your rhythm in a Zumba class—the possibilities are endless! Voted “Best Exercise Facility” in Des Moines, according to the Business Record, you will find yourself in the right place for improving your health in a passionate place. Take the next step towards enhancing your life with all that the Y of Greater Des Moines has to offer! These two recreation centers, both run by the Iowa City Parks and Recreation Department, are where you will get a strong sense of community. If you are a resident of Iowa City, you have access to use either of the location’s sizable pools, recreation centers, and game rooms, fitness rooms, after you pick up your ICPRD pass. The racquetball court at the Robert A. Lee Community Center makes for an invigorating and intense experience. Also bring you little ones (under six years-old) to Tot Time at the Scanlon Gym just about every Monday-Friday from 9-11:30 a.m., where you will find all sorts of fun activities that will surely pique their interest! The great part about being able to access this gym at any time is that it makes reaching your fitness goals much more achievable! There are programs for everyone, whether you want to take your first steps towards living a healthier life, if you are looking to train for a race, or if you want to try out a barre class with friends, you can find your groove at one of the many Anytime Fitness Locations. Treat your mind and body right by getting a membership to any one of the seven Aspen Athletic Clubs throughout Iowa. There are many simple ways to fall into a great routine here, with the wide variety of programs, leading-edge equipment, friendly staff and trainers all willing to work with you at your pace, and much more. Tennis and basketball courts, as well as martial arts classes will get you so enthralled that you’ll forget you’re even exercising. The affordability gives you another reason to put on your sneakers, head over, and sign up! View more Iowa Sports Centers and Complexes.